Did the intelligence community underestimate ISIS or did the president? In his "60 Minutes" interview, President Obama seemed to put the blame on the intelligence community, saying, "I think they underestimated what had been taking place in Syria." At the White House daily briefing, Press Secretary Josh Earnest cast the net quite a bit wider. "Everybody was surprised to see the rapid advance that ISIL was able to make from Syria across the Iraqi border," said Earnest. "To be able to take over such large swaths of territory in Iraq did come as a surprise." BRETT MCGURKDeputy Assistant Secretary of State for Iraq and Iran On Nov. 14, 2013, State Department official Brett McGurk testified before a House Foreign Affairs subcommittee extensively about the growing threat of ISIL/ISIS. "We face a real problem," McGurk said. 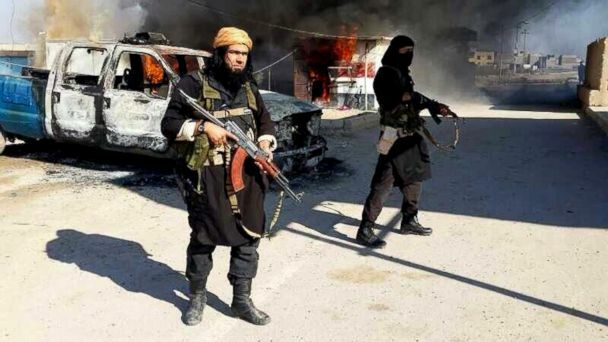 "There is no question that ISIL is growing roots in Syria and in Iraq. "McGurk was quite specific about the extent of the threat. He cited the group's alarming campaign of suicide bombings, its growing financial resources and its expanding safe haven in Syria. "We have seen upwards of 40 suicide bombers per month targeting playgrounds, mosques, and markets, in addition to government sites from Basra to Baghdad to Erbil," he said.He was also specific about the inability of the Iraqi government to deal with it. "AQ/ISIL has benefited from a permissive operating environment due to inherent weaknesses of Iraqi security forces, poor operational tactics, and popular grievances, which remain unaddressed, among the population in Anbar and Nineva provinces." ROBERT BEECROFTU.S. Ambassador to IraqIn January, ISIS/ISIL gave a strong indication of just how much of a threat they posed when the group took over the Iraqi city of Fallujah and part of Ramadi. At that point, U.S. Ambassador to Iraq Robert Beecroft said it could get a whole lot worse. "It's a very precarious situation," Beercroft told ABC News' Martha Raddatz. "And a misstep anywhere could set off a larger conflict in the country." Lt. Gen. MICHAEL FLYNNU.S. Army Director, Defense Intelligence AgencyOn Feb. 11, 2014, the Pentagon's top intelligence official, Lt. Gen. Michael Flynn, warned the group would likely attempt to take over even more territory. "ISIL probably will attempt to take territory in Iraq and Syria to exhibit its strength in 2014, as demonstrated recently in Ramadi and Fallujah, and the group's ability to concurrently maintain multiple safe havens in Syria," Flynn told the Senate Armed Services Committee. That's a prediction, unfortunately, that proved to be right on target.